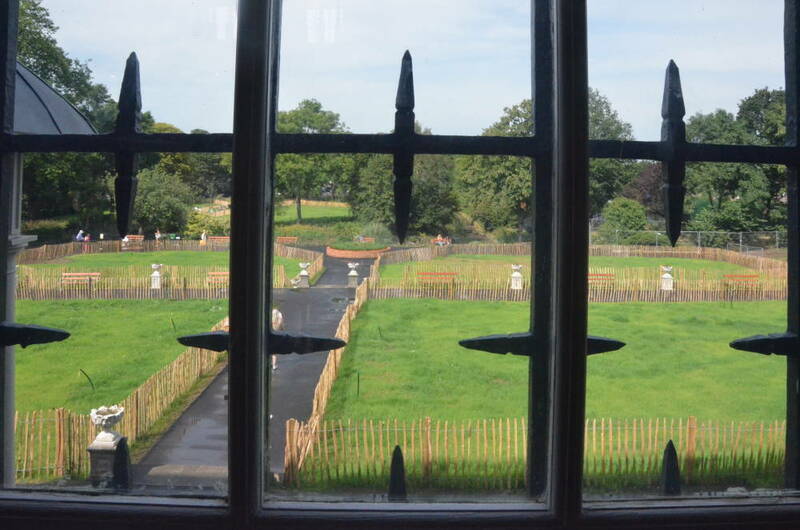 Left: View of the Gardens from window in the Gallery. 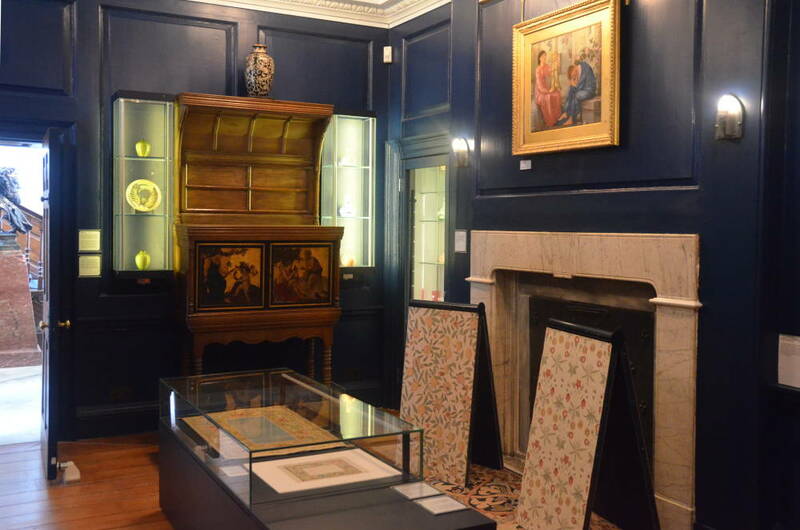 Right: A room on the ground floor displaying a painting by Burne-Jones, fabrics, a painted music cabinet, and ceramics — a works related to both Morris and Morris & Co. 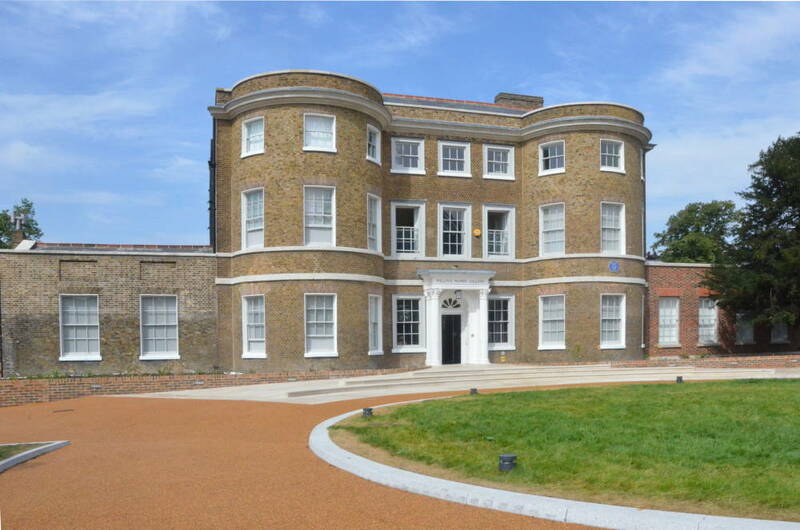 The William Morris Gallery, Walthamstow. 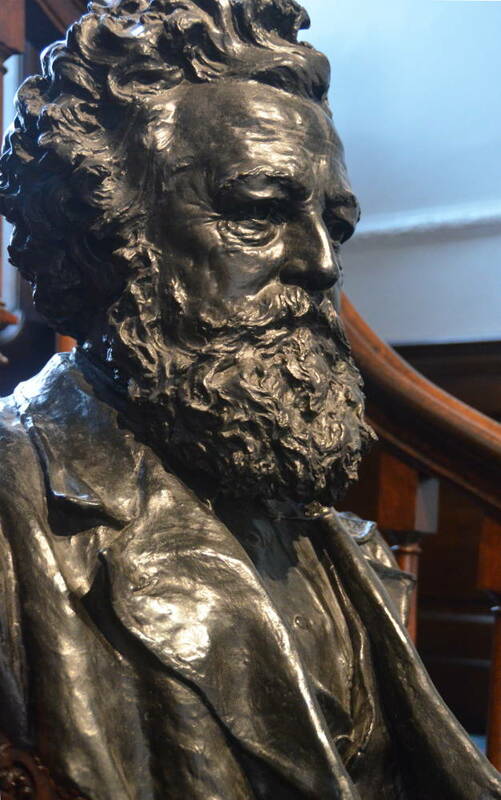 [The museum's own site.] Web. 11 October 2012.